Please Note* Check collection availabilty on 1890 252 392 before purchase. 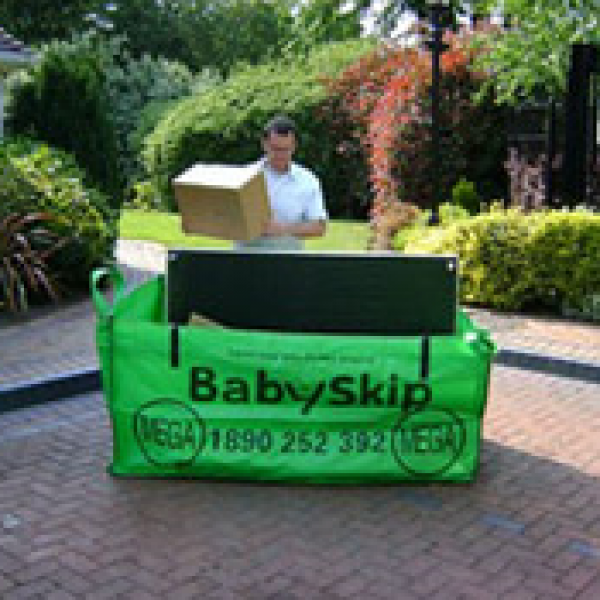 All BabySkips are sold in an easy-to-carry plastic bag, measuring 50 x 50 x 5 (cm)! Perfect for easy storage until your next clearout! Collection times suit you and your household. Convenience! With our full range of trucks, we can access even the narrowest spaces.